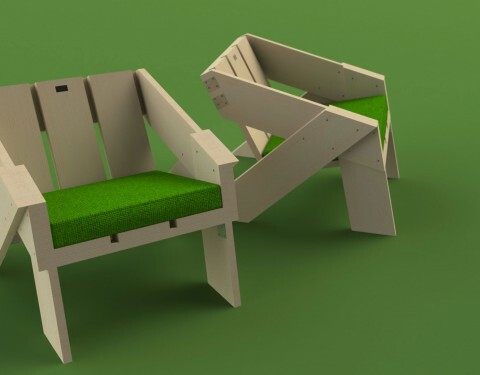 The No.01 is an outdoor piece of furniture. The lounge chair is designed to be firm and robust. Sitting in the chair feels like you are sitting in a throne. The angles of the seat result into a comfortable but typical lounge sit. 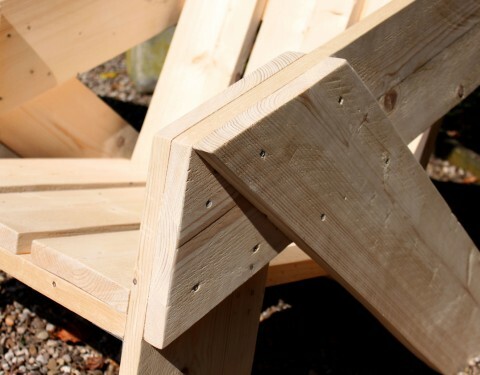 The idea is that the No.01 can be made of second hand scaffolding wood. 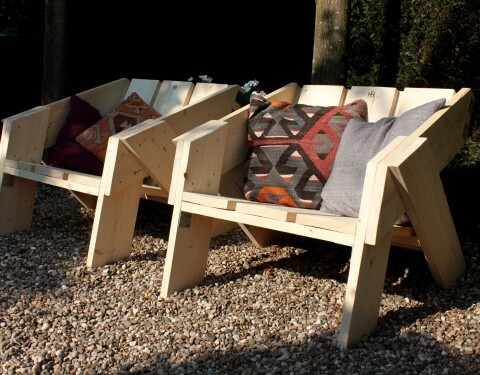 Most lounge chairs made of wood look very cumbersome and massive. I designed this chair to be exactly the opposite of this. 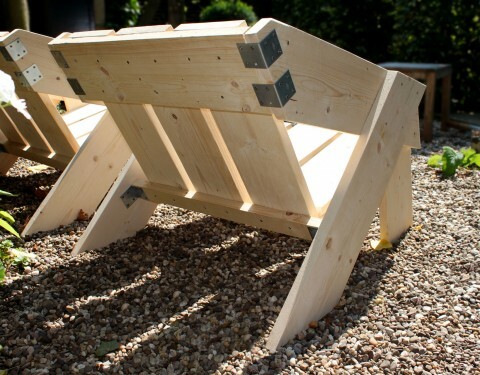 With the design of Gerrit Rietveld’s “Kratstoel” in mind I came up with the No.01. 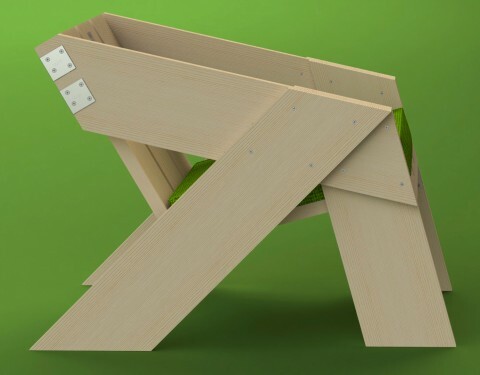 The No.01 is a somewhat more dynamical design due to the angled planks at both sides of the chair. I have chosen the name No.01 because it is the first piece of furniture I have designed and fully worked out. If you want more information about the No.01 feel free to contact me.